With the holiday fast approaching and so many sunglasses to choose from, it can feel overwhelming. But worry no more, our Gift Guide has you covered. From this year’s best sellers, to new arrivals, to limited editions — cat-eyes, aviator’s, wayfarer’s…. our editor’s favorite 15 shades your special lady is sure to love. With the holiday fast approaching and so many sunglasses to choose from, it can feel overwhelming. 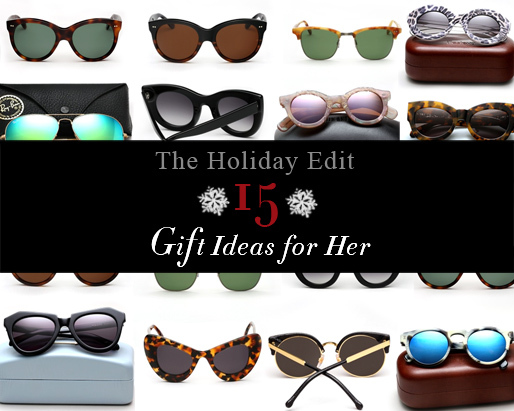 But worry no more, our Gift Guide has you covered. 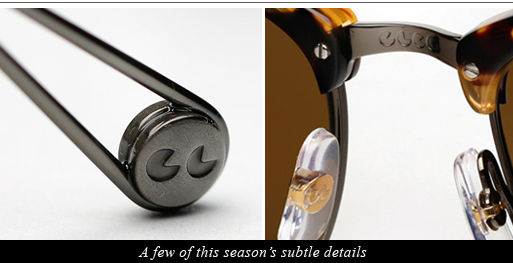 From this year’s best sellers, to new arrivals, to limited editions — aviator’s, wayfarer’s, P3’s…. 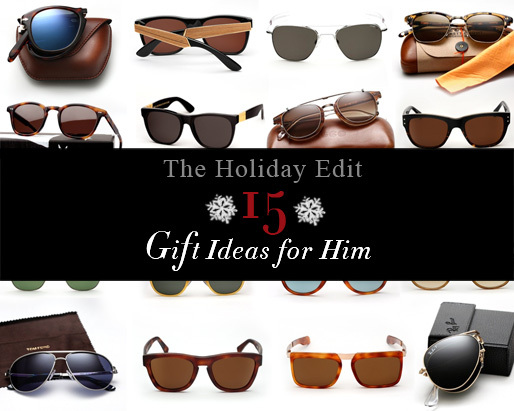 our editor’s favorite 15 shades for your special man that are sure to go over well. 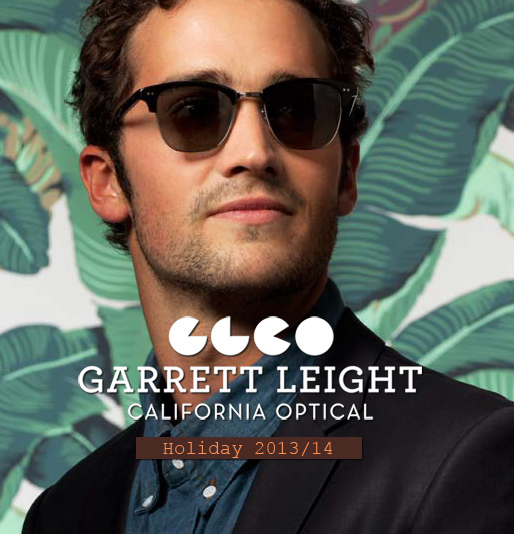 Just in time for the holiday, we present to you the Garrett Leight California Optical ‘Holiday’ collection. Staying true to the clean and classic aesthetic Garrett Leight is renowned for(and we are so fond of), we get a few cool new looks heading into 2014. Encompassing both new sunglass and optical frames, Garrett Leight takes timeless American shapes and imparts them with his signature well-measured touches and updates. The range features beautiful Japanese acetates, anti-reflective mineral glass lenses, and even titanium in their new “Oxford” frame (a first for the brand).